With their SPL status now assured, United boss Atex Smith picked his squad for the trip to Aberdeen with next season very much in his mind. Midfielder Craig Easton missed the match through suspension and was replaced by young Greek starTassos Venetis, tipped by many to be a regular in the side in future seasons. Much to the pleasure of the travelling Arab fans, comeback men Jamie Fullarton and Jim Paterson were among the substitutes, as was former Aiidrie youngster Darren Brady. The Tangerines clearly wanted to end their season on a high with a fourth consecuthre victory, but could have found it difficult against a Dons' side which is full of very promising youngsters. United started the match very impressively, clearly much more relaxed following the events of the previous week. They immediately took the game to Aberdeen and were rewarded as early as the 5th minute. In their first threatening attack, Miller found Tassos Venetis with an excellent through pass and the youngster held off McAllister before slipping the ball past Esson and in off the far post. This gave the side confidence and they nearly increased that lead in the 11th minute after Guntveit fouled Miller on the edge of the Aberdeen penalty area. Free kick specialist Danny Griffin curled the ball round the wall but just over the bar. Such is the Irishman's accuracy at set pieces, the United support stand in expectation whenever he steps up to take a free kick. B that was a close thing for United, then four minutes later they made no mistake, going 2-0 up with a goal of simplicity. 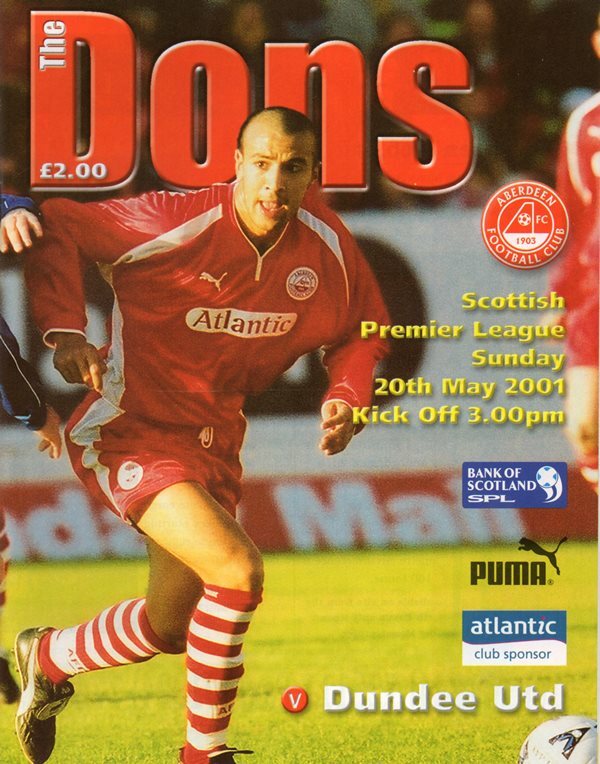 A long throw by Aljofree reached Hamilton, who headed on finding his strike partner Derek Lilley and the fans' favourite glanced the ball into the bottom corner of the net. The header was precise and gave Esson no chance, another goal from the scoring hero of Perth. The game had been played in the Aberdeen half and during the remainder of the first period only superb stops from Esson prevented United from increasing their lead through Venetis, Lilley and Miller. In Aberdeen's solitary attack, Young blasted over from inside the box after good work by Stavrum. The second half was far more even as a contest with Aberdeen making a predictable, if uninsplring, comeback. They very rarely looked like breaching a well organised United defence and their early attempts were long distance efforts from promising young substitute Ross O'Donoghue, who tested Gallacher on two occasions from outside the area. 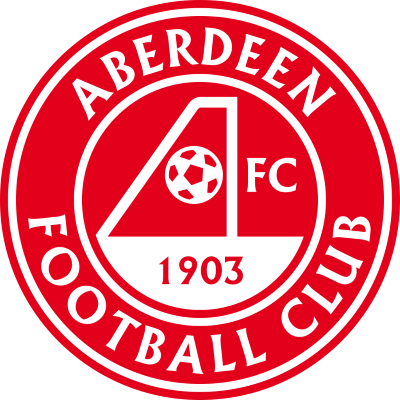 In the 73rd minute, Aberdeen finally managed to pull a goal back when Arild Stavrum fired a free kick past Gallacher from the edge of the box after Hannah had fouled Young. The Norweigan striker clearly makes a habit of scoring against United, having hit a hat trick in the previous highlight for the Aberdeen fans, for the noisy Arab support the main focal point of a disappointing second half was the appearances of the substitutes. In the 76th minute Paterson replaced Aljofree, while Miller was replaced by Fullarton with just five minutes remaining, this being a very welcome sight for every United supporter. Both players have suffered long term injuries and were given rapturous applause when they took the field. The remainder of the match was played, pretty much like an end of season fixture and both clubs took a bow before their own fans at the end. For United, it was another welcome and deserved win at a diificult ground, something which, it is to be hoped, will be a regular occurrence next term. Alex Smith clearly has an up and coming side which promises to claim a higher leaaue position next season.